Lucrecia Dalt dove into music full–time after working as a civil engineer in Colombia. Her pursuit of avant–garde sound brought her to Spain and then to Germany, where she currently resides. While highly technical, Dalt has always balanced the sharp mind of a methodical thinker with the restless heart of a passionate artist, gradually seeking a way to create hand–crafted mental states through sound, maintaining a quantity of emotionality, merging accessible, melody with abstract structures, handcrafted effects and sampling. Her recent work develops around the ideas of repositioning fiction, time perception, scale, telluric affect, repetition, vocoding and sound dynamics. Over the years, Dalt has collaborated with Berlin’s F.S. Blumm, Barbara Morgenstern, Gudrun Gut, L.A.-based musician Julia Holter and most recently with the group comprised of Rashad Becker, Charlotte Collin, Lucrecia Dalt, Laurel Halo, Julia Holter, Kohei Matsunaga (a.k.a. NHK’Koyxen), and Grégoire Simon for a telepathic collaboration. After several underground releases, in 2012 Dalt debuted her first LP, Commotus, on Berlin-based Human Ear Music, a label known for backing genre-bending experimentalists Ariel Pink, Nite Jewel, Julia Holter – the title of the album fittingly translates to “woken”, “agitated” or “disturbed”, reflecting the music’s ability to seamlessly, almost-cinematically shift in mood, from minimal and ethereal to multi- layered and wild. Dalt stuck with the label for 2013’s Syzygy, a record that dwells in melancholy, assaulting listeners with unfamiliar electronics. Rhythms hammer into the slabs of sound with precision, sequenced tones aggressively stamp indentations into the stiff frame. In 2014 she releases the self-titled EP on Nicolas Jaar imprint “Other People”, following and expanding upon the line of thought put forward in her 2013 album Syzygy, Lucrecia Dalt ends in a place familiar, yet noticeably different. Its two tracks, ‘Esotro’ and ‘Veta’, continually defy expectation — haunting vocal ballads that trickle into clouds of white noise — but for an acquainted listener that won’t surprise. 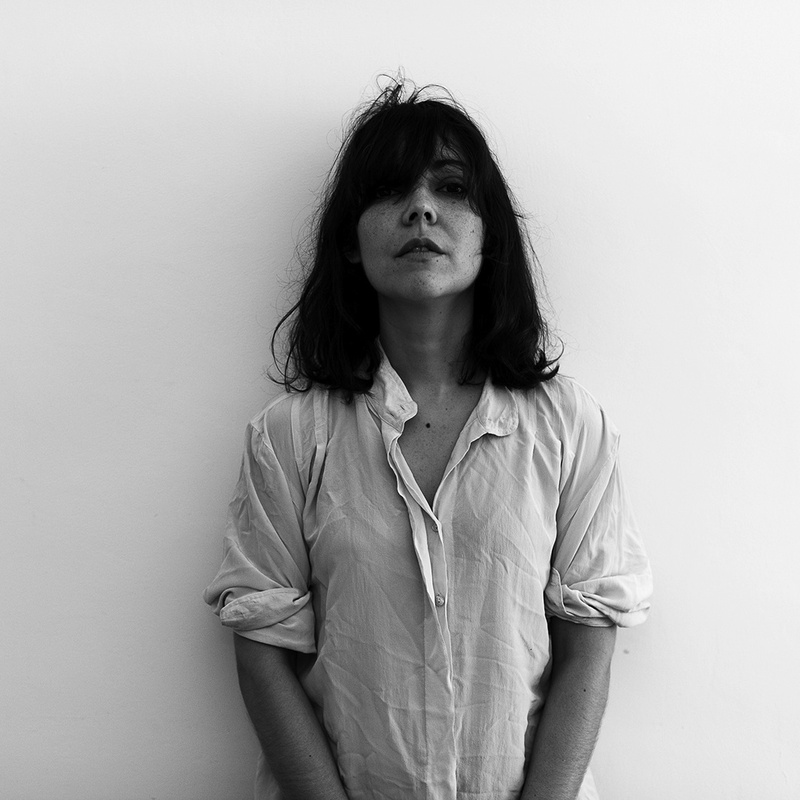 In 2015 Lucrecia releases her LP “OU” on the Berlin-based label Care of Editions as part of a scholarship granted by Music Board Berlin. This LP is the result of working in music which engages the history of modern filmmaking in Germany and build upon an ongoing technique used in her work, which is to provoke some entanglement between the emotional dynamic experienced during the viewing of a film, and what is experienced during the music production process.